Okay, all you Amish fans. You obviously love (or like) books in this genre or you wouldn't be here, right? 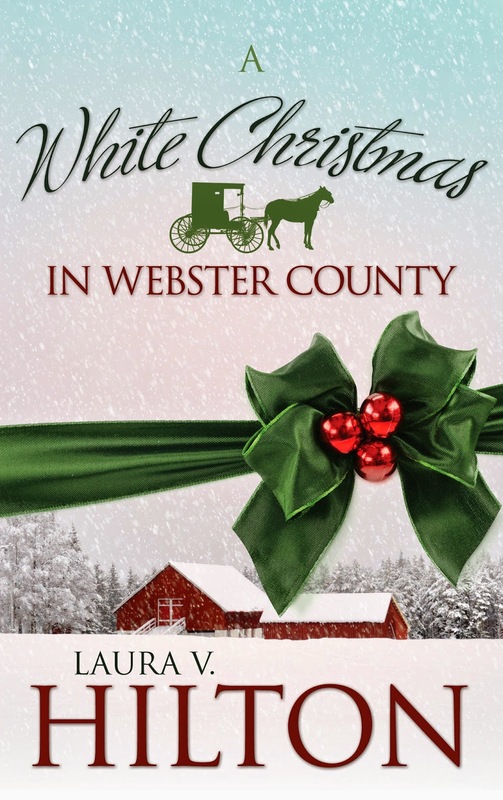 So if you're dreaming of a white Christmas, grab a cup of cocoa, curl up in a cozy chair, and check out A White Christmas in Webster County (Whitaker House). This is one of the books I mentioned in yesterday's post. If you've never read Ms. Hilton's work before, you're in for a treat. (Stay tuned. I'll post the next one tomorrow.) Thanks for stopping by! A Christmas Romance. A chance for a new beginning. Then her past is resurrected. Wanting to relocate from Shipshewana to somewhere new, Mercy Lapp answered an ad in The Budget to work as a mother’s helper for Matthew and Shanna Yoder in Seymour, Missouri. Mercy relocated from Shipshewana to give herself space and time to heal after the death of her beau in a fishing trip on Lake Michigan. Abner Hilty fled Shipshewana to Montana to work on a ranch after he and his twin brother witnessed a murder. Now that the killer is safely behind bars, Abner decides to visit his brother Abram in Missouri where he’d settled with his bride of one month. Mercy is surprised to see Abner there, and equally surprised by how much he’d changed physically since she’d last seen him. Even though the two live in different districts they occasionally see each other in town and form a fledging friendship. As Christmas approaches, an unexpected heavy snow lets Abner and Mercy spend a lot of time together in wintertime fun. Abner hopes to interest Mercy in a more permanent relationship. But then Mercy has a potentially life changing discovery. Will she return to Shipshewana to answer the summons of the past? Or settle in a new place?